Home DOLCE AMORE FINALE LIZQUEN TELEVISION LizQuen Kiss on 'Dolce Amore' Finale: Fake or not? LizQuen Kiss on 'Dolce Amore' Finale: Fake or not? 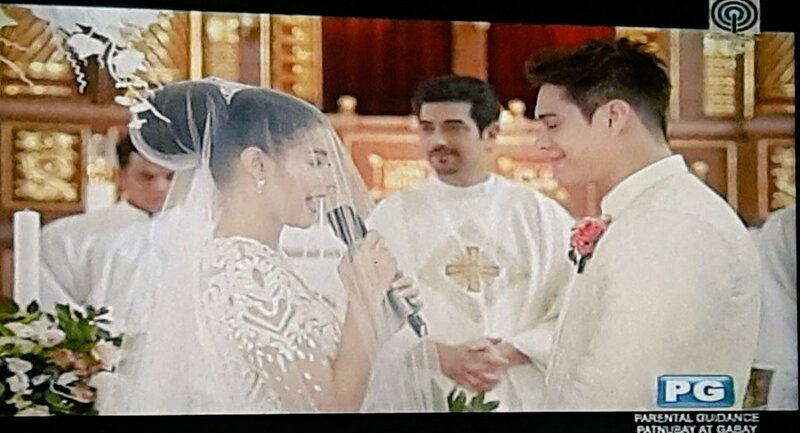 ABS-CBN's 'Dolce Amore' has just aired its finale, with most scenes showed Tenten (Enrique Gil) and Serena (Liza Soberano) getting married to each other. And the newly weds shared a sweet (not slow) kiss! But did LizQuen really kiss? Or they faked it, just like KathNiel in 'Pangako Sa 'Yo'? It was their 4th team-up already, their 2nd on TV, so I was a bit expecting to see them in a liplock. But whether fake or not, it was a well executed "fun" kissing scene fit for Tenten's personality. 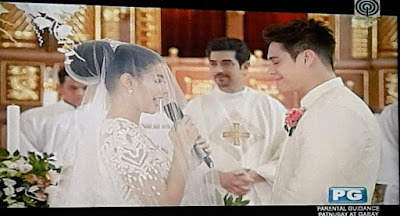 At least, it was one level up from what Liza and Enrique did during the finale of their previous soap 'Forevermore', where they did "nose to nose" during the proposal scene. Dolce Amore's wedding scene was even made more special with the surprise appearance of Ian Veneracion as the wedding priest. It was totally unexpected, enough to make female viewers scream so loud at home.